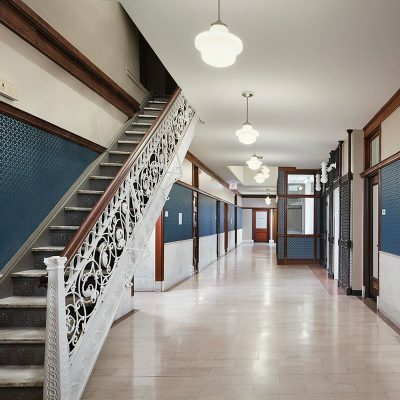 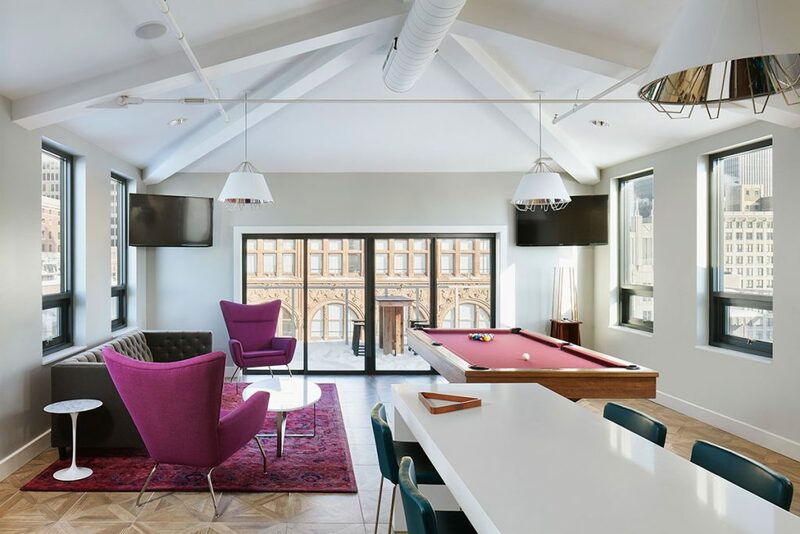 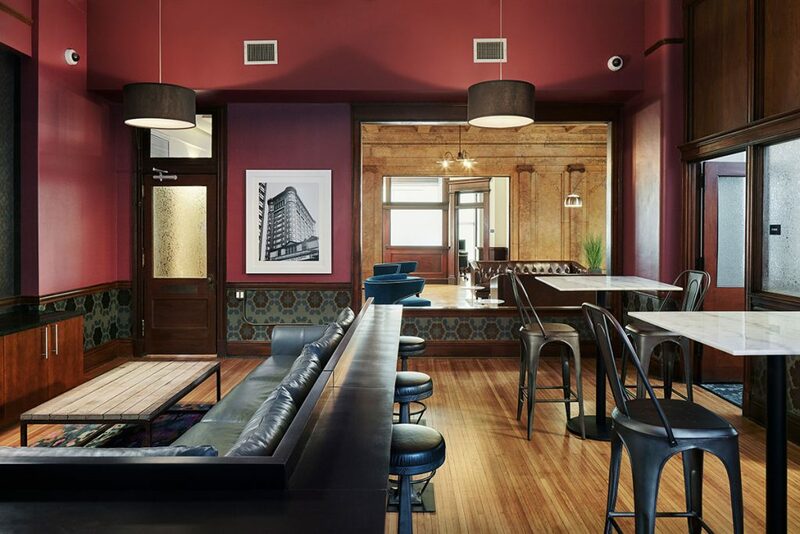 Located in the South Loop neighborhood in downtown Chicago, this 1894 office building was renovated into 111 apartment units and several great amenity spaces, including numerous gathering spaces, study lounges, a clubroom, and rooftop deck. 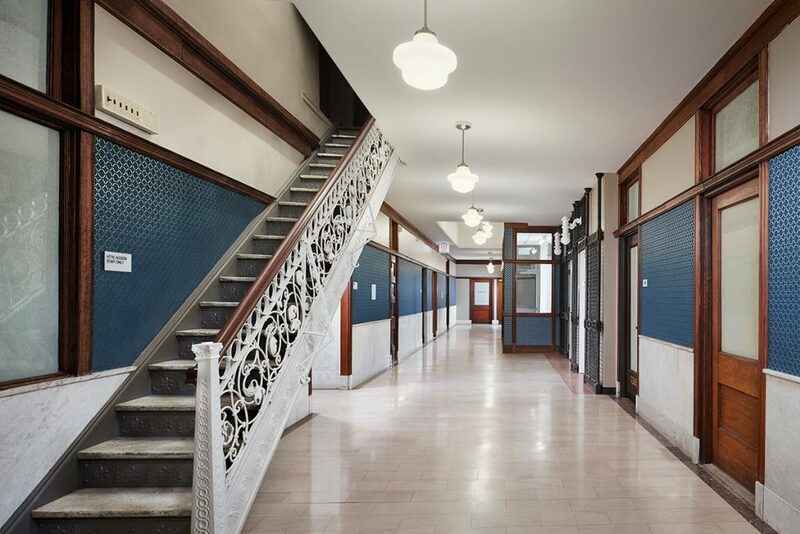 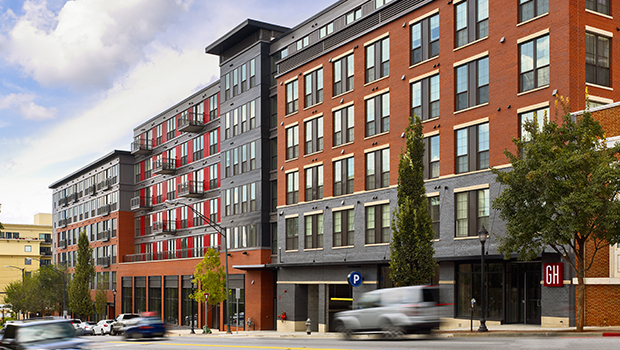 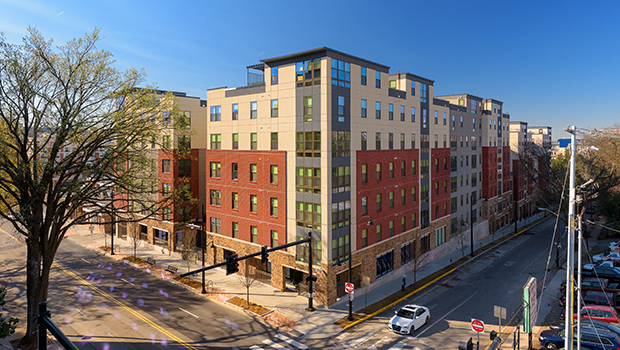 The design concept was to restore the building back to its historic condition, and incorporate lively and modern inserts to contemporize the interiors and relate to the youthful demographic that lives here. 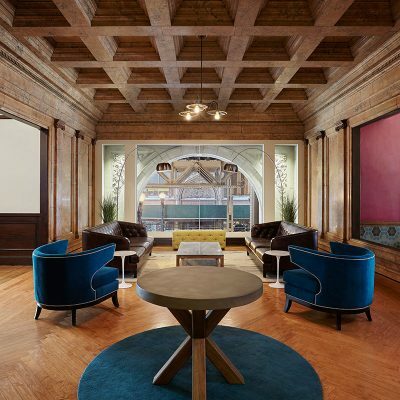 The building is full of remarkable details alluding to its past, and salvaged architectural details and relics were integrated into the design. 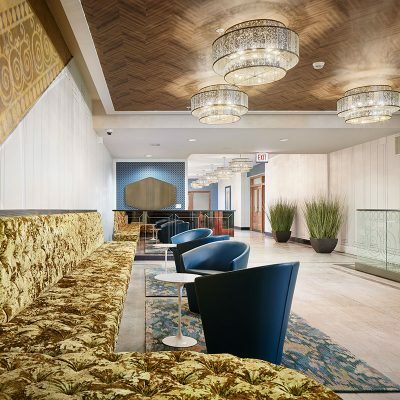 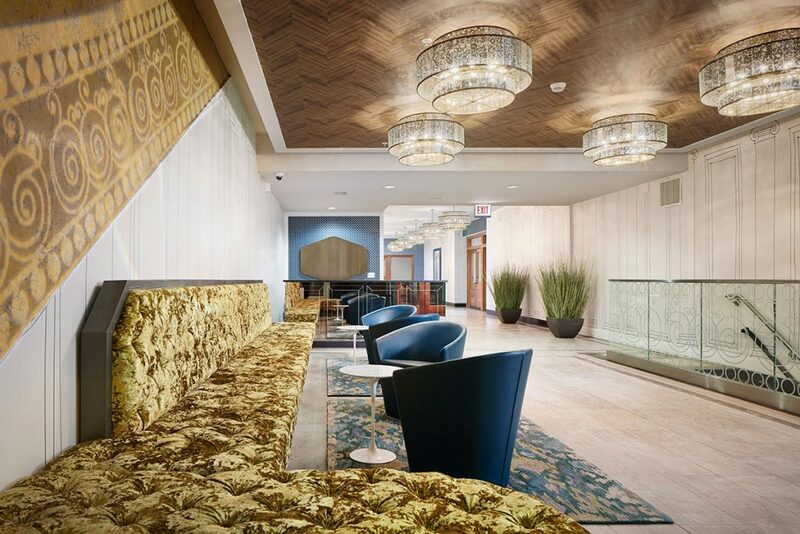 The lobby incorporates the original marble floors and introduces the contemporary and chic feel of the building along with a wallcovering derived from an architectural sketch of the original pilasters that lined the lobby. 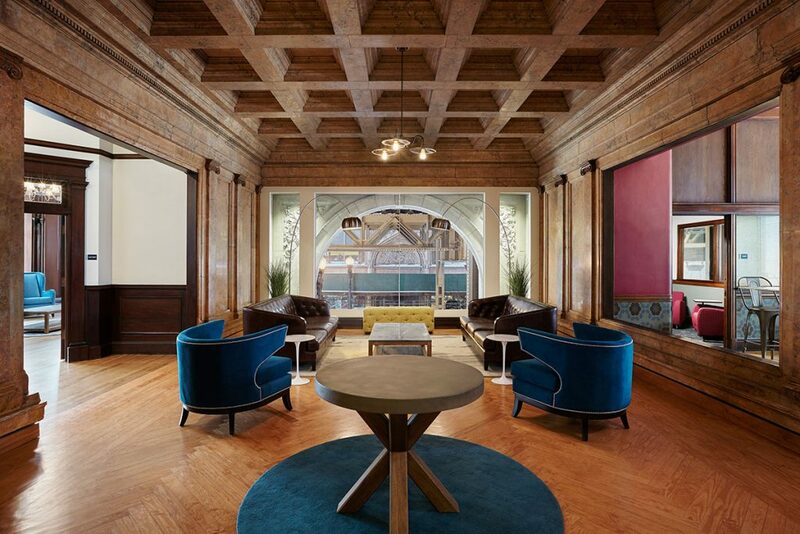 The study lounges and gathering spaces on the upper levels are heavy with original wall textures and coffered ceilings, the updated materials and furnishings enhance and renew the historic look of these spaces. 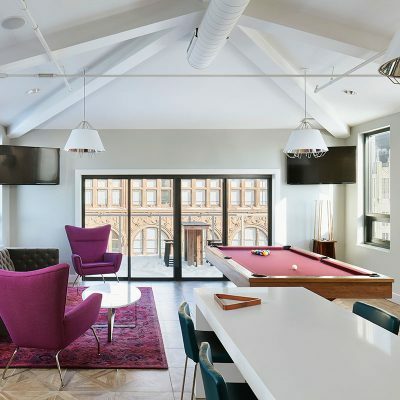 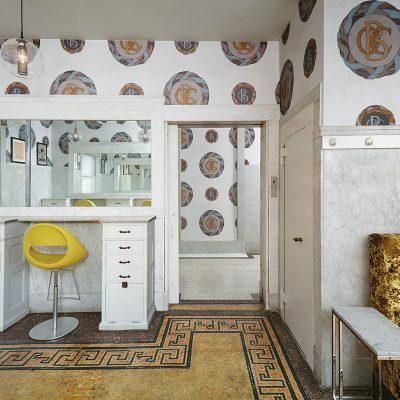 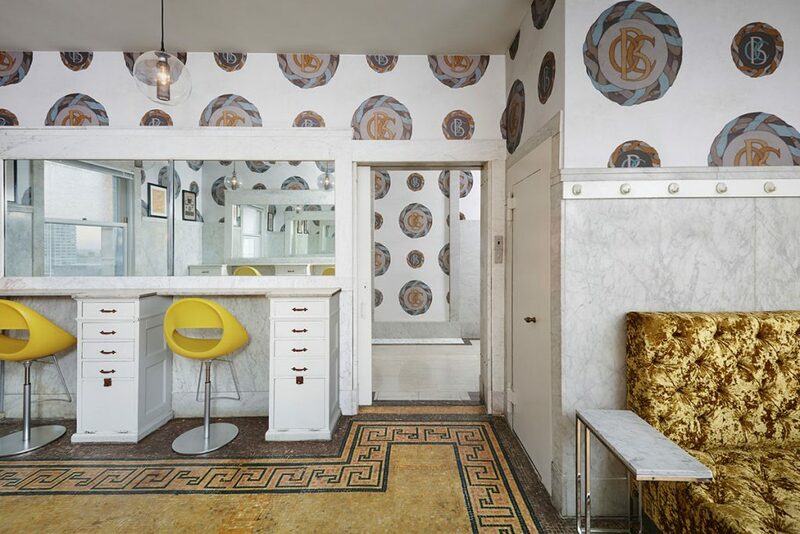 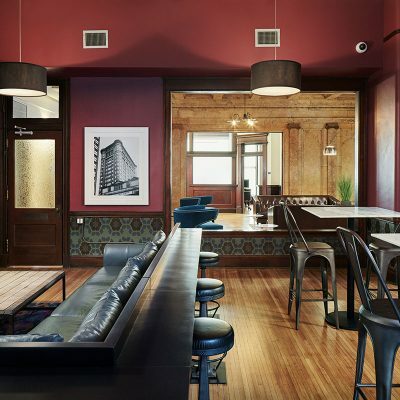 A historic barber shop was converted into a hip blowout bar integrating fresh style into the lovely old marble-filled shop, and a new rooftop clubroom with beautiful Chicago skyline views create a hip living space for these new residents.